I thought it would be helpful to create a resource page with products I use, like and trust for my business Day's Concrete Floors, Inc. I've used many different types of products for concrete over the last 30 years, some work better than others and some don't work at all. Below you'll find what I have found to work the best for me. I'll be adding to this list occasionally so I recommend bookmarking it for future reference and convenience. Enjoy! Disclosure: Please note that some of the links below are affiliate links, and at no additional cost to you, I will earn a commission if you decide to make a purchase. Please understand that I have experience with all of these companies, and I recommend them because their products work, not because of the small commissions I make if you decide to buy something. Please do not spend any money on these products if you feel they won't work for you. RadonSeal has been in business since 1997. 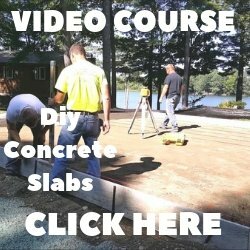 Their concrete sealers really work good. Their sealers are designed to penetrate and block the pores in the concrete, sealing off any water penetration from the surface and also from the sub-grade below. Blocking moisture from below the concrete is very important to keep out water seepage, moisture vapor, efflorescence and even radon gas. Blocking moisture from the surface can help eliminate freeze/thaw damage when using deicing salts in cold climates. I've used many different kinds of sealers over the years and this one does what I need it to with no problems. Great product! I like LastiSeal when I stain concrete. This product colors and seals the concrete at the same time. It's very user friendly for the "do it yourselfer". It's a water based stain with no harmful acids making application easy and safe. 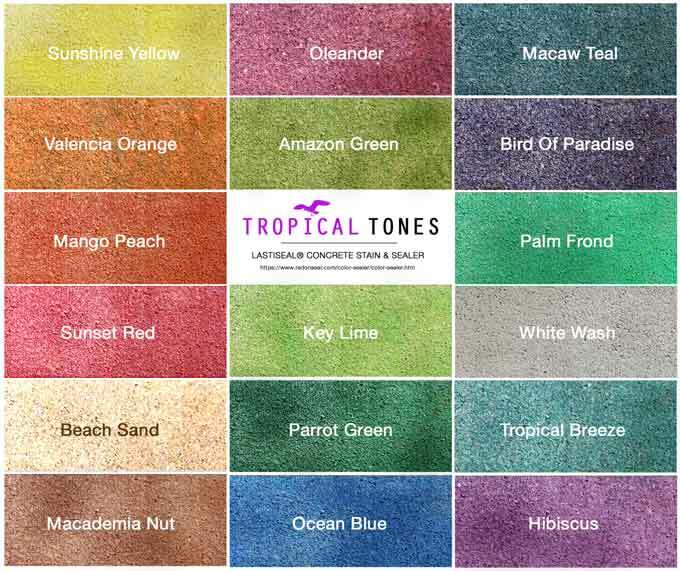 LastiSeal concrete stain & sealer gives concrete an attractive, semi-translucent mottled look unlike the uniform color of concrete paints or stains. It will showcase the variegated natural texture of the concrete without leaving a film on the surface. There's 36 different colors to choose from. ElastiPoxy Joint Sealant and Crack filler is great for repairing cracks, spalling areas and chips in concrete driveways, pooldecks, walkways and patios. It's a flexible epoxy that bonds really well to concrete and still allows for some movement. You can also use it to seal saw joints, expansion joints and the joint between the floor and concrete wall. 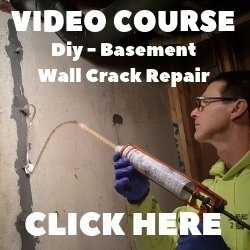 Do it Yourself Foundation Concrete Crack Repair. These kits are great for the DIY repairing cracks in concrete walls. For the PROS repairing foundation cracks, these kits are bigger. CrackWeld is for permanently repairing cracks in concrete floors. It literally "welds" the concrete back together stronger than it was before it cracked. Use this for repairing cracks in concrete you know is not still moving or "active", it in not a flexible repair material. This product works great for repairing cracks in garage floors, slabs and basement floors. This size Jack hammer is great for small to medium concrete repair or demo projects. It has very good power for breaking and chipping concrete or for removing tile from concrete. We use this size demo hammer for a lot of our concrete repair projects. We use this size Jack hammer for larger concrete demo projects like removing old broken concrete floors and slabs. When we need to remove larger areas of concrete in a timely manner, this is the demo hammer we use. We use this concrete floor grinder to grind and polish concrete, remove carpet glue from concrete floors, prep concrete for epoxy coatings, and prep concrete for staining. This is the vacuum we use with the floor grinder. I know, it's expensive, but it works great and will last a very long time if you take care of it. If you're in the concrete grinding and polishing business, I highly recommend this vacuum. A. H. Harris & Sons, Inc - supplier of concrete tools, stains, sealers, wire mesh, rebar, poly & repair products. Gagne and Son - supplier of all kinds of concrete products and landscaping products. 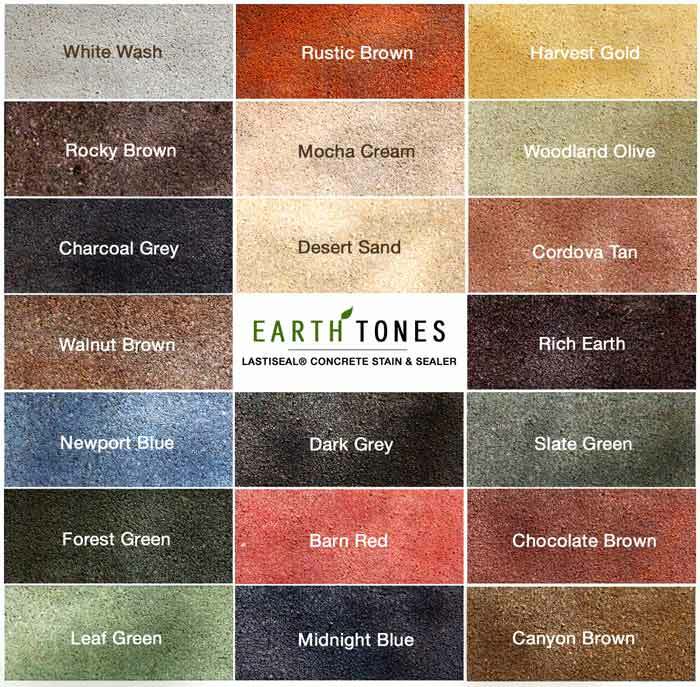 Butterfield Colors - supplier of color for concrete, concrete stains, concrete sealers and concrete overlays.